Trust factor for an ecommerce website is very much important for the customers. Best way is taking reviews on the website to increase credibility of an ecommerce website. Customer reviews has very much importance and considered to be one of the main factor to have too much influence on online shopping experience. Almost 60-70% of users check the reviews of the ecommerce website before going ahead for online shopping. So at this point third party reviews becomes important for the ecommerce website. So the reviews and ratings functionality can be implemented on the ecommerce website for the products, goods and services etc. The customers then get option to provide feedback, reviews and as well can rate the products, goods and services. Based on these reviews, how the ecommerce companies put too much effort in delivering quality products, goods and services are seen. These reviews, ratings and feedback of the customers show how the ecommerce companies are taking care of the customers and satisfying with their quality products, goods and services. The third party reviews helps new customers to visit the ecommerce websites and convince them to trust the websites. Most of the ecommerce companies also send emails to the customers to get feedback and collect ratings. 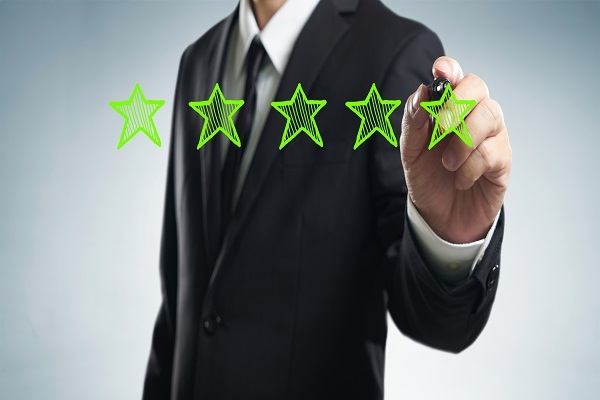 They provide the ratings in star symbol format, where one star is very poor, two star is poor, three star is average, four star is good and five star is excellent. These start ratings are also shown on the ecommerce websites. These star ratings are also seen on google adwords which gives greater advantage to attract more new visitors on you ecommerce website. Moreover, the reviews, rating system and feedbacks provides by the customers or third-party acts very potential in maintaining the credibility and the trust for the ecommerce websites among the customers.